I’ve been having trouble recently focusing and feeling really tired when I’m working. I tried brain.fm using a few free sessions last week and it made a massive difference but I’m not sure if it was a placebo effect? Does anyone have experience of using it over a longer period of time? Does your brain get used to it and fall back into old patterns? I’ve been using Brain.fm regularly for about a year and it continues to work really well for me. I find it particularly useful when working in a distracted environment. In concert with my noise-cancelling headphones, it supports me in entering a focused state pretty much anywhere. I’m not sure if it was a placebo effect? Placebo effects are still effects. If it’s working, I’d continue using it. This is true! But I’m wondering if it’s also just the new shiny effect. 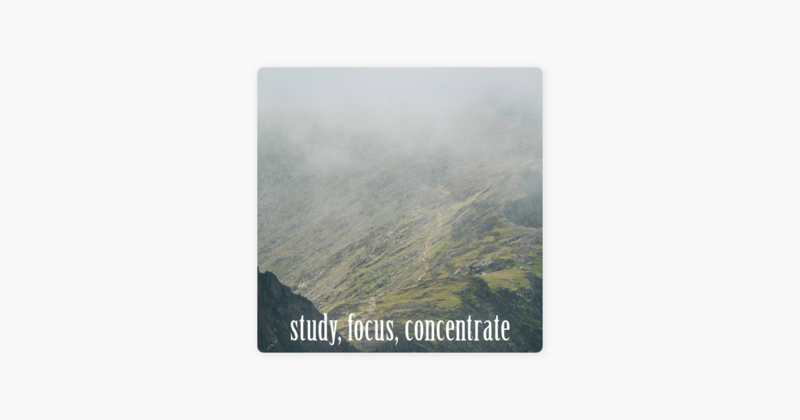 Something different for the brain that works for a week or two or is there really some witchcraft going on that makes it any better than a well curated Spotify playlist. A very good point. Luckily the best way to find out is to keep using it! Seriously, though, the jury of neuroscientists is still out on this one. They can measure brain waves, but haven’t agreed on what they mean. There are some really promising investigations into sound, everything from binaural influenced states to destroying cancer cells like a soprano shatters a wine glass. My personal sense is that it’s more witchcraft than chance, but time will tell. I’ve used brain.fm for awhile, and I like it. I’m not sure about the science behind it, but I feel like it help me focus. If you keep an eye out on StackSocial it frequently goes on sale too, making it much more affordable than focus@will (and has a much better iOS app). I think I got a lifetime subscription for something like $30, I don’t think I’d pay the normal price though. I pay $35 every two years for focus@will ($70 so far.) Wow, their prices are way higher now! They have made player stability improvements and commissioned some interesting compositions, but the effective channels for me have played the same music for years. I recommend them to people but I’ll have to qualify that from now on. I tried it and it did nothing for me. I think that’s partly because of how obsessive I am about music though. Marconi Union’s song Weightless has been shown to reduce anxiety, which would in turn increase the ability to focus. Link below. I use it as a seed for a Pandora playlist. They can measure brain waves, but haven’t agreed on what they mean. We don’t know everything of course, but we know a lot about brain waves and their meaning. For instance, after you perform a motor task (like reaching for a cup of coffee), there is an increase in synchronization of beta-band (13-30Hz) in motor cortex that coincides with the amount of error in the task. So if we perturb your reach using a robot that creates a force field, there will be greater synchronization afterwards. Thus this signal serves to update the motor program based on new sensory information. Alpha band (8-13Hz) de-synchronization over sensorimotor areas is related to the integration of sensory information. There are thousands of papers related to this. Searching for EEG and some topic is a good start, say, “eeg sensory deprivation”. It is part of my morning routine, so the effects can get lost in the benefits of a successful morning. However, I think it works. Like others, I have found that brain.fm can be very helpful, but I cannot verify the science behind it. Music of any kind can effect mental shifts; I think it comes down to what works for you. That said, I will not be renewing my brain.fm subscription when it comes due in a couple of months. As an Apple Music subscriber I have found that combinations of asking Siri to play “instrumental electronica”, Downbeat Radio or Spa Radio help me focus just as well as brain.fm. Despite bug fixes and a re-write of the brain.fm app, it still has a tendency to drop the stream on me after 30 to 45 minutes no matter how solid the network connection. I tried it for a couple of months, but am now back to working sans sound/music. I purchased the lifetime deal for focus@will and it has been one of the best investments to my working life yet. I am so pleased with it that I have not needed to try brain.fm, but I wonder what the comparison would be. Gonna poke my head in here as a Neuroscientist and say that there’s probably nothing magical about the music, (i.e. if it induces theta waves, etc.) because the science on this has always been relatively soft (mostly correlational data). On the website, they specifically say “Pending Scientific Publication” with regards to “Results in 15 minutes” but I want to caution people that try this for 15 minutes and suddenly feel more focused: if you do anything with un-interrupted concentration for 15 minutes, it’s because you’ve settled into your task (known as Attentional Shift ). The brain needs a bit of time to “get into the groove”, and if you’ve ever meditated or done similar contemplative work, you can attest to feeling like longer sessions are better because it takes your brain a while to stop chattering and fussing about before giving complete focus to something. I’ve personally tried Focus@Will and didn’t feel anything different than when I used free sounds on the Rain Rain app, or anything else that serves as background noise while I’m working (lately a lot of The Mercury Program and Pelican on Apple Music). Can’t wait for Black Friday to see if brain.fm or focus@will go on sale - I want a lifetime subscription so badly!